My interest in ME/CFS was sparked when I was invited, unexpectedly, by IiME to the IiMEC8 Conference in May. The meeting was impressive: not just professional science, but at a high level. I was particularly impressed that negative findings were given adequate weight. It became clear to me that there was a community committed to identifying and encouraging the very best research in a difficult and neglected field. I was aware of the study by Fluge and Mella, using rituximab. I had not been surprised to see some patients respond, but the type of response, which was similar to what we had found in rheumatoid arthritis fifteen years ago, caught my attention. In fact, the situation seemed very reminiscent of the time when we first started to get results with targeted therapy in rheumatoid arthritis. We had the benefit of more immunological clues then, but on the other hand, the experience we have gained over the last decade now makes things easier in other ways. My limited understanding of ME/CFS is that, like arthritis, it is probably several diseases with similar symptoms. Most colleagues who specialise in ME/CFS seem to agree. What the Fluge/Mella study suggests is that perhaps half of those suffering from these symptoms may have a B cell-dependent autoimmune disease. A recent study by Dr Amolak Bansal and colleagues also suggests that B cells may be functioning abnormally in a significant proportion of people with ME/CFS. To me, a key feature of this approach, unlike chasing one particular virus or gene, is that, if confirmed, it will provide a broad base for understanding disease mechanisms. Even if rituximab is a cumbersome treatment in the short term its use may not only help a good proportion of patients directly but also begin to show us how to divide ME/CFS into different groups. So it may be useful even for those whose disease does not respond because once separated out from B cell-dependent disease the role of other factors such as NK cell function or cerebral blood flow may become clear. Looking at the research directions currently being pursued in ME/CFS, I am in no doubt that the usage of rituximab is one of the most promising. There is clearly enthusiasm for further trials. However, rituximab is not an easy drug to use and many doctors do not feel confident with using it. This may explain why studies have been slow to gain momentum outside Norway. Safe and effective usage requires understanding of B cell life history and function. Each condition has to be considered differently, especially in terms of when treatment is repeated. But with experience its use is very effective and probably as safe as most drugs. After the IiME Conference I began thinking about my personal experience of patients and friends with ME/CFS. I was sent a copy of ‘Lost Voices ‘ by IiME, which made me think more. It struck me that, whether or not results are positive, further trials of rituximab for ME/CFS should be encouraged not only because impact on life for those affected can be so severe but also because further trials could give clues to disease mechanism. 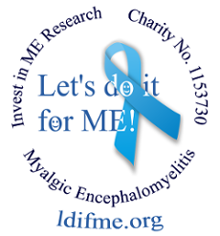 I am retired and would not be personally involved but have suggested to IiME that I would be happy to advise and to encourage others to set up a trial. My feeling is that a trial should be carried out somewhere with detailed experience in use of rituximab in autoimmune conditions. The UCL service set up when we started treating rheumatoid arthritis, lupus and a range of other conditions has the most extensive experience. There is laboratory expertise in B cell immunology under Dr Jo Cambridge. UCL also has a new Clinical Trials Research Facility with staff appointed to manage trials of this sort. Importantly, there is enthusiasm amongst local teams for a rituximab ME/CFS trial. I have suggested to IiME that this would be the ideal centre for such a trial, to be set up in collaboration with clinicians with expertise in ME/CFS from around London, and in particular Dr Bansal. IiME have accepted this and this is the planned and preferred research base for this trial. Clinical trials are costly. The trial planned in Norway to confirm the results from Fluge and Mella’s initial trial will cost something like £1-2M pounds. I think it would be most sensible to set up a smaller scale trial initially in the UK with a focus on trying to identify which patients are most likely to benefit. A trial treating about 30 patients, giving useful scientific information should hopefully be feasible for around £3-400,000. Trial design will require careful thought and some further preliminary laboratory work is likely to be needed before it is clear what design would be optimal. Nevertheless, I am optimistic that a trial could be set up without major delay if funds can be raised. If the role of B cells in at least some ME/CFS, suggested by Fluge and Mella’s study, can be confirmed I think there is a genuine chance of getting to grips with the mechanism of the disease. From there on things can only get easier. The statement above from Professor Edwards is an astonishing opportunity for those patients with ME and their families. To have somebody of Professor Edwards' standing produce such a statement, after agreeing to advise the charity following the IIMEC8 conference, justifies completely the conference theme of Mainstreaming ME Research. This is a potential breakthrough for state-of-the-art biomedical research into ME. We believe this study would add great value to other similar research being performed elsewhere. It would also put the UK into the forefront of ME research. There is no greater expert able to advise on a trial of rituximab than Professor Edwards who formally established the validity of B cell depletion in autoimmune disorders via his groundbreaking rituximab trials. At the Biomedical Research into ME Collaborative meeting (BRMEC) organised by Invest in ME and the Alison Hunter Memorial Foundation Dr Jo Cambridge from UCL was invited by the charity to attend and present to the 40 researchers from nine countries gathered in London for the meeting. We felt it important to get the best advice possible to help with this area of ME research. Dr Cambridge added an enormous amount to the meeting – followed by a sincere and positive approach to progressing research. UCL, as Professor Edwards has explained, has first-class facilities and we believe this opportunity is unique in the UK. If the UK patient community wish to have a rituximab study then this is as good as it gets. With the clinical team and Dr Cambridge at UCL performing this work, and with Professor Edwards as advisor, we are sure that a huge leap in understanding ME will be possible. IiME have managed to work with the experts to set up this possibility. As Professor Edwards states “a trial could be set up without major delay if funds can be raised”. Our fundraising campaign now must begin in earnest. We invite everyone to get behind this UK rituximab study and support us. We welcome contributions from other organisations and companies and individuals. The quality of the researchers and the facilities is beyond doubt. IiME will contact other organisations to invite them to donate to this cause. One organisation has already indicated it will support a rituximab trial and we have had a pledge from another organisation to help. We now have the researchers willing to perform this trial in the UK. The quality of the researchers and the facilities at their disposal place the capability of the UCL team to perform this trial beyond doubt. There is enthusiasm for setting up a study at UCL. UCL can take this forward in collaboration with Dr Bansal and with close liaison, including visits, with Bergen. This has been agreed. A meeting has been arranged for Professor Edwards to visit Bergen to discuss with Dr Fluge. Further trips by the UCL team would be a possibility and will be arranged by the charity. We welcome this as this will undoubtedly help both the Norwegian and the UK studies. We need to raise funding for this study so we urge all our supporters, and others who wish to have a UK rituximab trial or wish to advance biomedical research into ME, to raise awareness and interest from as many sources as possible and support us in this venture. This UK rituximab study has been initiated by IiME and the UCL staff who were at our conference and BRMEC research meeting. The best research team possible to undertake this trial is able to perform this. We need now simply to fund this. Please support us in this venture. This is all wonderful news and our immensely grateful thanks go to Professor Edwards and Invest in ME, Dr Cambridge and the UCL team, Dr Bansal, Professor Mella, and all involved in planning this important research. Now all we have to do is help fund it so - Let's do it for ME! UPDATE from IiME: "Thanks to everyone supporting us with this. We have had a pledge from another organisation to help. More details later. We will be contacting other organisations and support groups to ask for their support for our project". Professor Edwards: " IiME take the credit for having knocked the right heads together and got them thinking of getting something up and running - pretty impressive to my mind, because there are all sorts of reasons why those people might choose some easier things to think about! So now what we need is for everyone to do what they can. Dr Shepherd has indicated his enthusiasm for doing what he can. If we can get the MRC interested now or later that will help"
Dr. Charles Shephered: "I hope this is clear: Invest in ME should be congratulated for what they have done here."